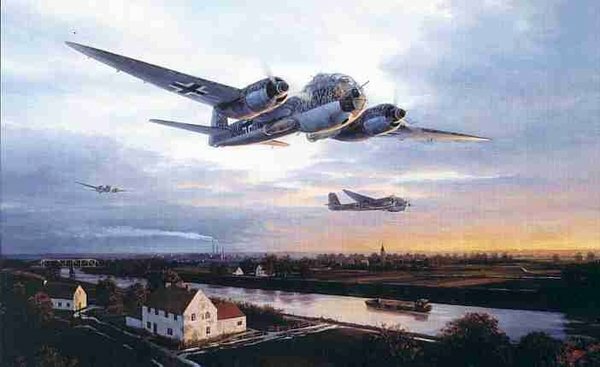 L/E 350 prints signed by the artist and Pilot of the Lead JU188, Lt. Karl Geyr. US $115, 30 remarque artist proofs with rare extra signatures $165. image 23" x 15", overall 25" x 18"